It is a mess when the dead leaves fall. It covers all the area around the tree. If the wind blows then the leaves spread around and make a mess of the whole yard. 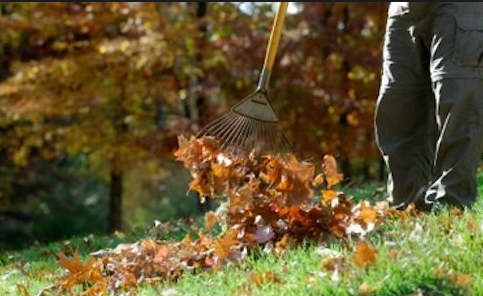 Both your front yard and backyard become a mess because of the fallen leaves. This gives a shabby look to your beautifully decorated yard. There is no way to avoid this but there is a way to make the cleaning process easy for you. So you don’t have to worry about the cleaning and efficiently clean your yard and keep it the way it should be kept. Everyone knows how annoying it is to clean the yard full of dead leaves. Therefore, we are sharing tips with you to make this task easier and efficient. The first step is to rake the leaves into piles. 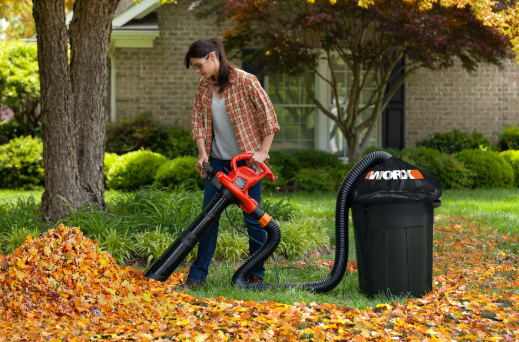 You can use different tools like the leaf blower to collect the leaves in one place and then rake it into piles. Use the leaf blower to get the leaves from under the trees and small plants to the open. That way you can easily collect the leaves. You can use rakes to pile up the leaves. It is important to look for is to get rakes with big fans and the longer the handle the better. In this way, you can stand in one place and rake a bigger area. This makes it efficient as you are covering more ground. But at the end of the day, it comes down to preference. If you are more comfortable with the small size equipment then you should use that one. After the leaves are all in the open plain area, then use the mower to mulch the leaves into small pieces so it is easy to get into bags or containers. This way it will not take a lot of space in the plastic bag and can be easily be transported. Make sure the leaves are on a plain surface where you can easily mulch the leaves. Otherwise, it can cause damage to the equipment. The collection part is rather easy as all you need to do is push the leaves in the bag and then compress the bag to get all the air out. The air takes up a lot of space in the bag so compress it properly. Sit on it if you have to. The less air there is the more leaves you can jam into the bag. You continue the process until you fill the bag. If you have a container, then you can attach the bag in the container and then you need to pick up the leaves and put it in the container. If you have something to push the leaves down, then it would be better. By pushing the leaves down at the bottom of the container you can get all the air out and can make more room for the leaves. You can continue the process until the whole container is full. After you have collected the leaves, it is time to put them into a container or a bag to transport it to the desired location. It can be the dumpster or a place where you want natural compost. 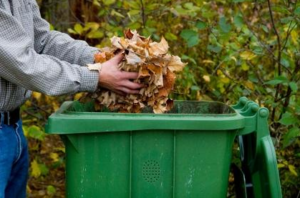 Make sure you dispose the leaves properly and if you are planning to use it as compost then do it at the back and not the front as it may damage the look of the yard. Your safety is of top priority so it is best to wear gloves and proper eye protection to keep your eyes and hands safe as there are many sharp stems which can cause harm. While blowing the leaves wear a mask to avoid inhaling dust and dirt. It is important to use the proper tools for the job as it will not only save time but also do a better job. 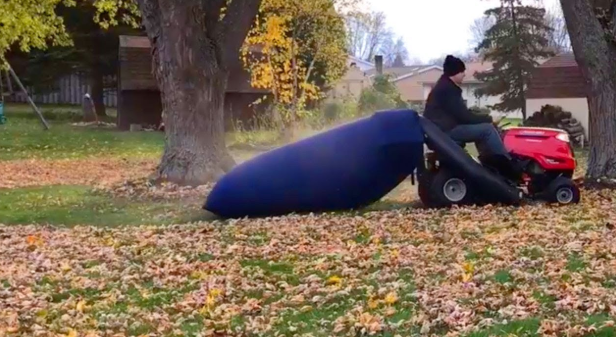 While blowing away the leaves with the leaf blower are careful as you don’t want to blow away the leaves from the trees too much. The process of cleaning leaves takes a lot of time and effort if not done the proper way. Hence we have listed the proper process to help you better use your tools and effectively and efficiently clean the dead leaves and again make your yard clean and beautiful. There are other dedicated tools that you can purchase to make the task easy. But this process is still the most effective one without using any fancy tool.